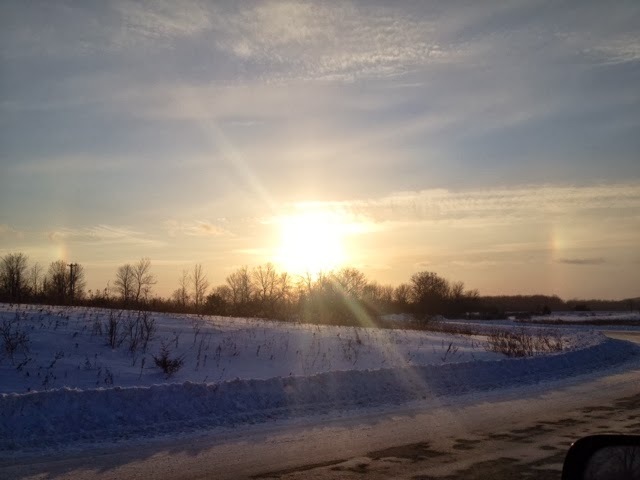 On the way home yesterday there were sun dogs on both sides of the sun as it set. These are caused by ice crystals in the atmosphere. These tiny crystals act like a giant lens and we see a kind of giant lens flare. They always appear 22 degrees to the side of the sun. You can learn more about synod phrenic lensing here. http://www.atoptics.co.uk.